Fans of Disturbed and Three Days Grace, get ready for the ultimate show for you!! 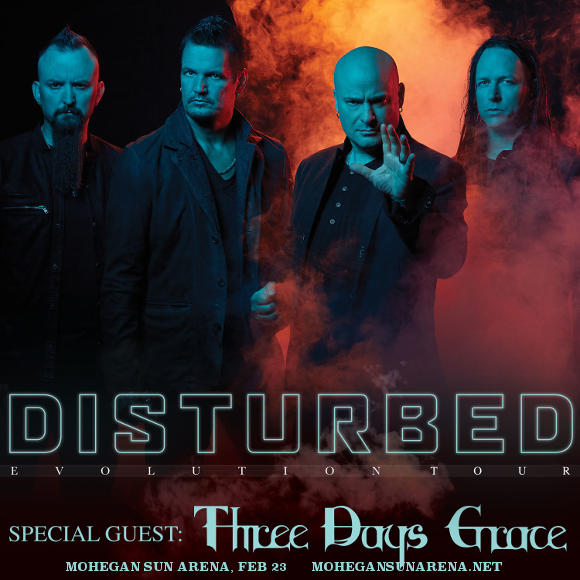 Three Days Grace are joining Disturbed on the Evolution tour, coming to shake up Uncasville at the Mohegan Sun Arena on Saturday 23rd February 2019!! Don’t miss out – hit the “Buy Tickets” button and grab your place at the show. Get ready to experience the latest incarnation of 3 Days Grace for yourself – get your tickets to their tour with Disturbed today, while you still have the chance! !